second pyramid. Khafraa is the son of king khufu who built the biggest pyramid. 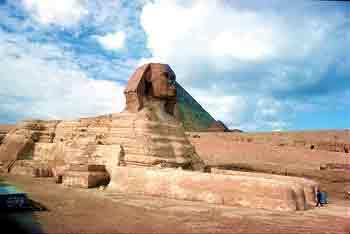 Sphinx shows the courage; bravery and the wisdom of king khafraa. the pyramids looking to the east with his smile calm face.